The already juggernaut lineup for this year’s Marion Bay leg of Falls Festival has just ballooned out with a sackful of new artists. 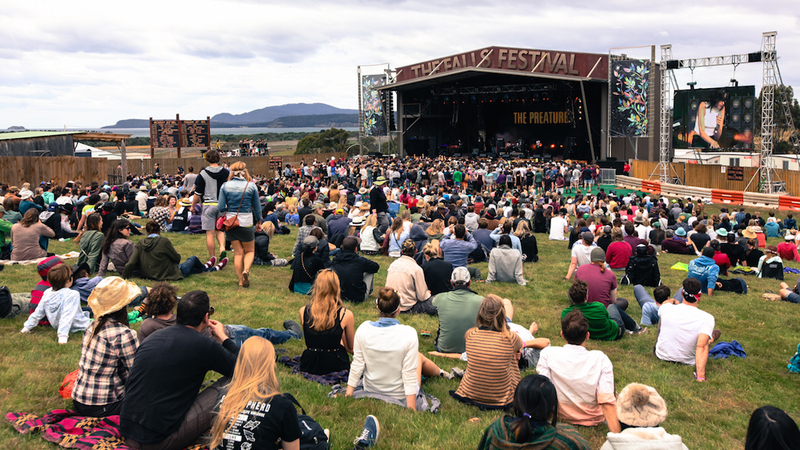 Brace yourselves because Grinspoon, San Cisco, Nina Las Vegas, Waax, Maddy Jane, The Teskey Brothers and Press Club are now all headed to Tassie for the NYE festival, which hits Marion Bay from Friday, 29th December. They join previously-announced acts like Liam Gallagher, Flume, Glass Animals, Angus & Julia Stone, Fleet Foxes, Run The Jewels, The Kooks, Vince Staples, D.R.A.M., Everything Everything, Foster The People, Peking Duk, Dune Rats and multiple stage-loads more. Today’s announcement comes after the Lorne and Byron Bay legs of the festival sold out pretty much instantly. Tickets are still available for Marion Bay and Fremantle, so get ’em while they’re hot. Catch the full lineup and ticketing details for Falls Marion Bay, below.